Retro never really goes out of style, there is always someone to bring it back. 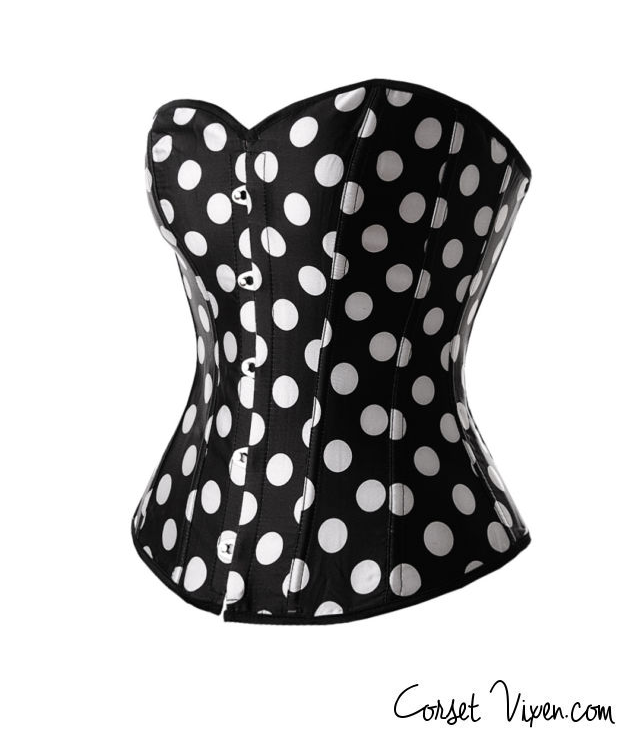 Blast from the past with our Retro Black and White Polka Dot Corset. Polka Dots became common on clothing in the late nineteenth century. Now here we are in the 20th century with a repeat. Just think of this stylish corset paired with one of our black petti skirts for a striking corset dress look or wear it with jeans as a simple corset top and you'll definitely spin heads. This Strapless black and white polka dot Corset with front busk closure also has a lace-up back, also a Free matching thong .